I went out for a morning walk in San Luis Obispo this morning. I discovered a patch of wild blackberries that I snacked on. I am scheming right trying to find a way to establish some of theses plants back in Houston. Farthing seeds will be easiest, a couple of cuttings would be best! They are much bigger and sweeter than the local wild dewberries! 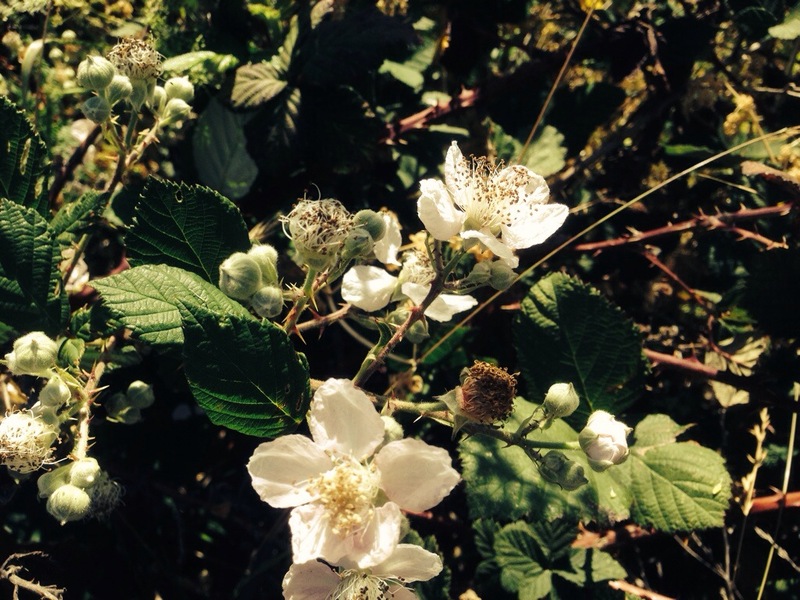 Blossoms and wild blackberries along the trails walked this morning. Hope to find a couple of Farmers Markets for a sampling of local fare! Need to find some local flowers to take over to Mom’s house in Los Osos, she is celebrating her 85th Birthday today! PICK A BERRY OR TWO FOR ME AND I’LL BE WAITING!!! Thanks….A bit late but appreciated. Yes! Take some wild blackberry suckers rather than cuttings. Dig up a sucker with roots and bring it home–everyone wins. 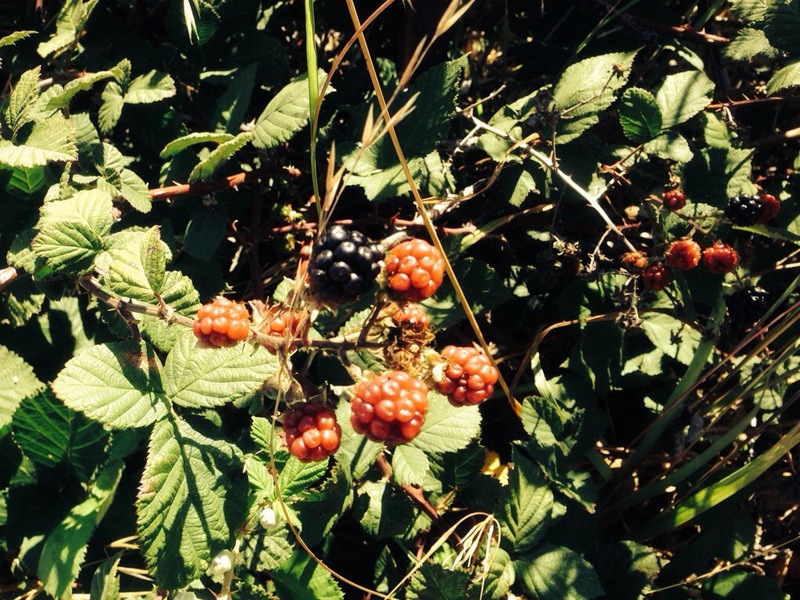 We have an article about our love for wild blackberries at trybackyardfarming– love your blog!